The latest film and last in the trilogy The Dark Knight Rises has been a huge success at the box office and introduced us to new characters Bane and Catwoman. 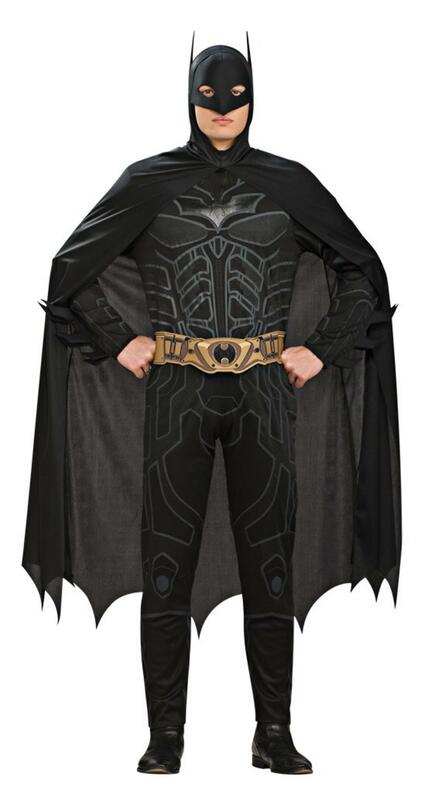 Many people will, however, still want to emulate the superhero himself and the look of Christian Bale's character in the movie and now they can with our Officially licensed Batman Dark Knight fancy dress costume. 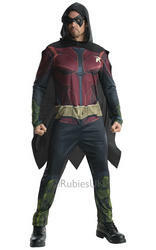 The costume includes everything for turning you into the latest version of Batman and consists of black jumpsuit with printed muscle detailing, a black hooded cape and a bronze coloured utility belt. 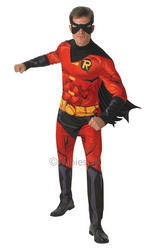 Completing the superhero costume is a black facemask in the style of the Dark Knight. 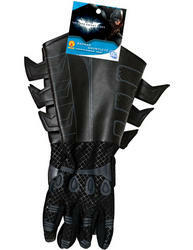 Chase off Bane and don't let Catwoman get the better of you at your next superhero fancy dress party!